Sake is a rice-based alcohol primarily made in Japan that is commonly called rice wine, though this is technically incorrect. It can be a confusing beverage if you're new to it, but it is a great drink and if you haven't tasted a sake cocktail yet, now is a great time to begin. Sake is typically referred to as "rice wine" but it is actually produced by brewing, in the same way as beer. It is a clear, low proof, alcoholic beverage that is made from rice, yeast, water, and koji (a sort of sweet, fragrant mold injected into steamed rice or barley to aid fermentation). Sake is categorized based on grade, style and the amount of polishing the rice receives. These are important factors when picking out a good bottle of sake, as you will see below. A label may have each of these three elements on it to indicate the sake's quality (i.e. Junmai Ginjo Genshu). Sake should also not be confused with soju (or shochu), which is a Korean spirit that is produced from rice or grains like barley. There are two ways to drink sake straight: either hot or cold. A premium sake is best chilled while lower grades like futsu-shu are best served warm. There are traditional sake sets available that include small cups and a small carafe (usually also heat-proof) which you can use to serve sake to guests. It is also appropriate to pour sake for the person next to you and allow them to do the same for you, never pouring your own if you have company. More and more often sake is finding its way into cocktails. It is the perfect base as it's as nearly 'tasteless' as vodka and can be mixed with a variety of flavors. Sake is graded with junmai being the highest quality and futsu-shu the lowest. Junmai - No additional alcohol is added to this sake and it is the purest grade. If a label doesn't say "junmai," then some additive has been used. Honjozo - This sake includes a small amount of brewer's alcohol to bring out its flavors and is only produced in Japan. Futsu-shu - This is a very basic sake without any regulations and is considered to be the quality of a table wine. Because heat masks impurities in sake, this one is typically served hot. 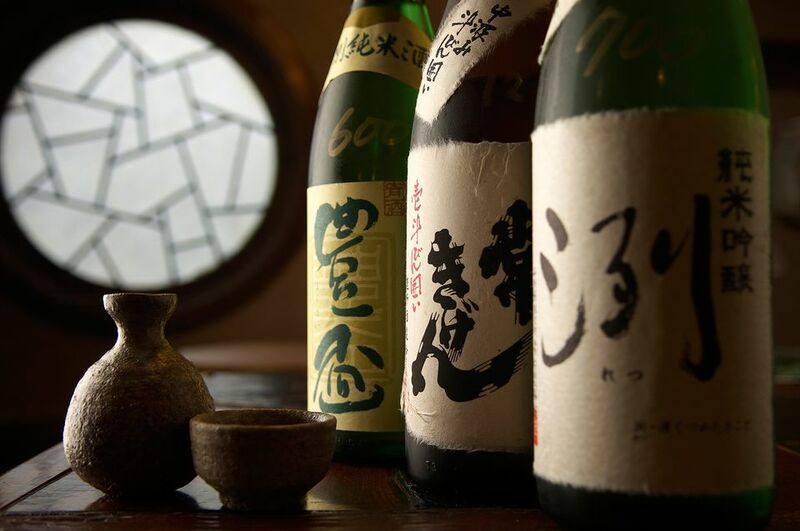 Most sake is bottled at 15% to 16% alcohol by volume, with the exception of genshu. Genshu - Full strength sake that is undiluted and typically bottled at 18-20%. Koshu - Sake that has been aged. Nama - A sake that is unpasteurized and needs to be refrigerated. Nigori - This sake tends to have a cloudy appearance because it is filtered less than others. Rice is polished to remove the husk, bran and a portion of the germ. The sake designations below indicate the amount of polishing the rice has received and is the primary factor in finding a good sake. It seems contradictory, but the less polished rice produces what is considered a high-quality sake. This is because there is more flavor left in the rice. Dainginjo - Ultra-premium sake with rice polished 35% to 49%. Ginjo - Premium sake with rice polished 50% to 60%. Tokubetsu Junmai - Junmai sake made from rice polished at least 65%. Junmai - Traditionally a rice that has been polished 70%, but now all the producer has to do is indicate the percentage on the bottle. Most sake labels will have a bottling date on them and it is best to drink them as close to this date as possible. Nama sake should be refrigerated because it is not pasteurized. Unopened bottles should be kept in the refrigerator and can stay there for up to 16 months. If you intend to open it within a week, a wine chiller will suffice. Opened bottles of sake should be capped and refrigerated and will last around 2 weeks.